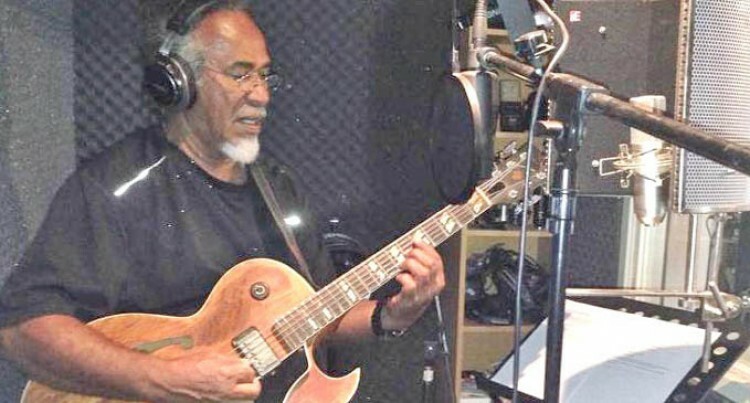 Legendary jazz guitarist, Tom Mawi will be honoured at a Jazz and Blues Festival in Suva this Saturday. The 73 year-old’s career spans six decades and shows no signs of slowing down with his music. After taking a break from music for a year, 26-year-old artist Kathy Waqa will be one of the performers who will be paying tribute to the legendary guitarist. “I grew up listening to this legendary artist such as Ken Janson, Tom Mawi who are such an inspiration and it’s an honour to perform in the same stage as them,” she said. “I’ve known him since the early sixty’s when we he use to play in the Golden Dragon,” said another renowned guitarist Robert Verma. Verma hopes the festival would become an annual event and will be able to inspire young musicians to get into the art form of jazz and as there’s so much talent in Fiji. Verma will be one of the many artists paying tribute and will feature artists like Vude Queen Laisa Vulakoro, Georgina Ledua, Sami and Annie Mawi, Ken Janson, Nesbitt Hazleman, Maxi Columbus from the U.S.A, SASSY, Steve MaComber, Margot Jenkins, Dr Richard Beyer and Salome Baravilala. Stage Tech, one of the leading sound and lighting design services and equipment hire in Fiji, will be staging the show that will honour the guitar great in Suva. The concert titled At Tom’s Place will be held on Saturday, October 29, at the Suva Holiday Inn and Golden Dragon Nightclub in Suva, will be a homecoming for the guitarist who was once voted among the Top 10 jazz players in the world by Downbeat Magazine.